Once each month I contribute a story and photographs to the Philadelphia Inquirer, stories about the intersection of memory and place. 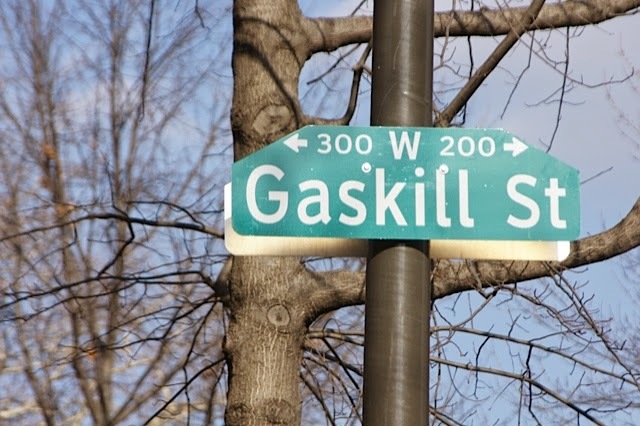 Most recently I traveled back to the Gaskill Street trinity I'd shared with my husband early in our marriage and remembered, with the help of Julia Zagar of Eye's Gallery and Isaiah Zagar fame, the neighborhood and its evolution. I wanted to know what parts of my memory could be validated. I wanted to know, among other things, how others remembered the wow of art that lived just down the street from me—the rag-rug lady, the Christmas party thrower, the man who had painted his car, his street, his telephone pole the colors of Woodstock. Had it all been just a dream? I meandered, took photos, wrote, and the Inquirer published that story here. After that, the story kept changing. Friends and strangers got in touch with memories of the rag-rug lady I'd mentioned in the tale. Others remembered, for me, parades. Others said, I live there now or I lived there then. Reconstitutions. Plastic memory. And then this past Thursday, I returned from a job to a phone message from a certain Ruth Drake, now living in Woodstock, New York. Call me, she said. Ruth Drake, as it turns out, held all the missing pieces of my story. She had been told by a friend about the Inquirer spread. She had heard, in the lines read to her over the phone, reference to the man she had married and loved—that artist referred to, in my story, as Bud Franklin. My husband, Ruth Drake said. (Bud) Franklin Drake. And there it was—the full name I'd been searching for. And there was more, now, so much more, that Ruth was saying—about her husband's degrees from the Pennsylvania Academy of Fine Arts, about his one-man shows, about that crazy car with the mattress spring crown and the flower-power colors that was parked out on our street. Ruth remembered with me the rag-rug lady—Ella, she said, who had been raised in a lighthouse. She affirmed the existence of the man who had lived across the street and filled his home with a Christmas tree so huge it had to be stuffed in through an upstairs window. She said that Bud had planted morning glories in a pot on their stoop and encouraged them to grow skyward, and oh, how they did. She said that she, Ruth, had gone off each morning with her corporate gloves to her corporate work and then come home to Bud's great spirit. We'd been neighbors all those years ago. He'd painted the neighborhood, even painted a bump on the street. He'd led parades. His art was his power. I was young and watched, an outsider. I didn't know half of how lucky I was to be there then. (Bud) Franklin Drake lived a fascinating life. Ruth hinted at the details as we spoke. At years spent in Manhattan while Ruth worked on Wall Street. At a painted Cadillac limo that attracted the eye of (among many others) the Rolling Stones. At the Drakes' colorful entry to Philadelphia in that same Caddy—Mayor Rizzo's police surrounding that car until well-heeled Ruth and her petite mother emerged and asked, sweetly, "Is there some trouble, officers?" There was so much to tell, and Ruth told it so well, and I promised I would complete my Gaskill Street story here. (Bud) Franklin Drake wasn't just the wild-hearted artist on a street where I lived years ago. He was a well-respected, studio-famous artist whose work can still be found here, on the Franklin Drake Gallery. Often it's not the words we write that make the difference. It's the conversations they stir. What a colorful, wonderful thing memory is and you brought that home so beautifully. How wonderful! I love that, the way the story goes on. I love this entire story. You are doing wonderful things.